MFNERC hosts a variety of science focused student gatherings throughout the school year. 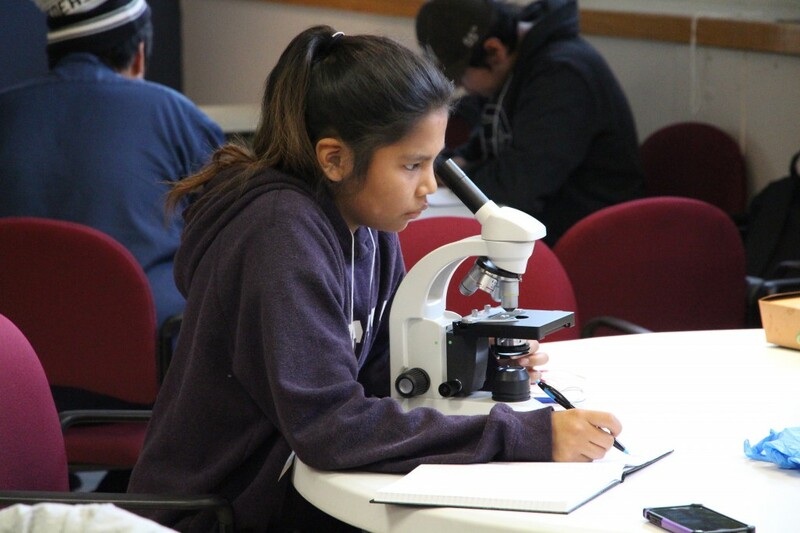 These events seek to address the importance of science and technology by engaging First Nations young people with hands-on experience while, at the same time, teaching them how these topics relate to the world around them. One such gathering took place October 26-28, 2016 at the University of Manitoba. Over 45 students from grades 8-12 and 15 teachers from First Nations around Manitoba took part in the gathering. The focus of the gathering was authentic scientific research examining real world issues from the students’ own environments. It featured videos, speakers, experiments, and much curiosity. One of the many highlights was group presentations. The students had the chance to present and share science projects they had worked on prior to the symposium. Other topics covered included, bird migration, microbiology, chemistry, scientific technology and research methods. MFNERC’s next big science event is the annual Science Fair, March 9-10, 2017 at the University of Manitoba.